Introduction. 1. Historical Background of Case Studies 2. Purposes of Case Studies 3. Elementary-School Case Studies 4. Middle-School and Junior-High Case Studies 5. High-School Case Studies 6. 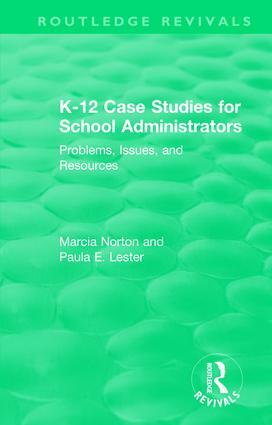 Support-Staff Case Studies. Index.